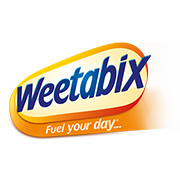 Manually sorting, reviewing and coding stacks of deductions is the industry norm for many Consumer Goods companies, including Weetabix North America. The natural breakfast cereal manufacturer manages deductions for nearly 300 SKUs spread across the US and Canada, including top-selling brands Weetabix, Barbara’s Bakery and Alpen. With limited visibility into its trade spend activity, which averages 21 percent of gross sales, it was challenging for the trade-driven organization to access specific product or brand information from spreadsheets and settle deductions efficiently. After implementing the TradeInsight® (now AFS TradePro™) Trade Promotion Management (TPM) system to track trade accruals in both countries, Weetabix North America increased visibility into its trade spend activity from “near zero” to 80 percent in 14 months. For the first time, the true width and breadth of all the company’s promotions and associated costs were laid out in one place. The tool also gave Weetabix North America the ability to not only identify, but contest invalid deductions. After one of their customers put a new pricing system into effect, the AFS TradePro™ system detected inaccuracies. With documentation just a click away, the manufacturer was empowered to challenge the customer and recovered $60,000 worth of invalid deductions. Within the first year of using AFS TradePro™, Weetabix North America saved a total of $72,000 in deductions alone. All of which went straight to the bottom line. According to Nistor, the team utilizes the AFS TradePro™ application daily and directly attributes the proficient system for her ability to better manage the deductions process with internal senior-level executives as well as the company’s biggest customers. Weetabix North America creates deliciously healthy whole grain breakfast cereals and is well-known for its Weetabix namesake, a toasted whole wheat biscuit that has been a favorite in England for decades. Weetabix North America operates plants and distribution centers in Clinton, Massachusetts, Cobourg, Ontario, Canada, and Petaluma, California. For more information, visit www.weetabixusa.com.